P&G Scaffolding has long since been the ambition of our managing director Ian Griffiths and together with an outstanding team of employees, we hit the ground running from the day of incorporation. Due to the extensive range of contacts brought by Ian from years working in the industry, we immediately began working on a number of high profile projects in the south east for a variety of prominent main contractors. Following this, our management team’s passion for scaffolding has driven the company forwards and to date P&G Scaffolding have provided scaffold for a vast number of construction projects for clients that include Kier, ISG Jackson, FM Conway, Lawtech Ltd and Morgan Sindall to name but a few. We are constantly looking for the next occupational challenge and have great pride in the interesting contracts the company has been awarded. When asked to recall our most difficult projects, managing director Ian has no hesitation in referring to Greenwich Power Station, the river walk by the River Thames, the bridge at St Mary’s Island and the giant tower blocks in Southampton. 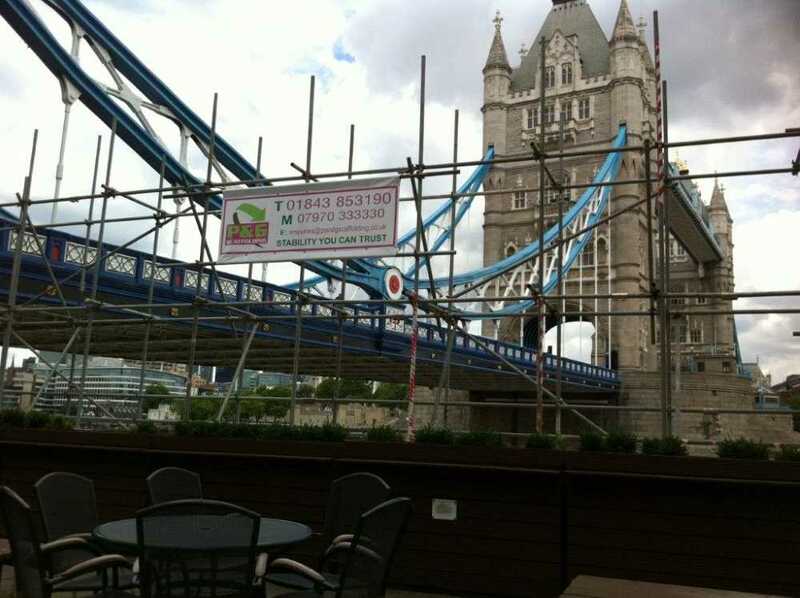 All of these projects have tested our aim to provide a reliable, professional and efficient service, however we believes this type of work promotes the vital nature of scaffolding within the rest of the construction industry. For the future, our directors would wish to see P&G Scaffolding become the first choice for anyone who requires off ground access. Given the level of drive and determination of our management team, anything is possible….